Today’s recipe is an extremely original appetizer: molecular pumpkin soup with Traditional Balsamic Vinegar! This tasty appetizer is perfect to open a special dinner! Aren’t you curious to try it? Keep on reading! Start by wrapping the pumpkin in aluminum paper. 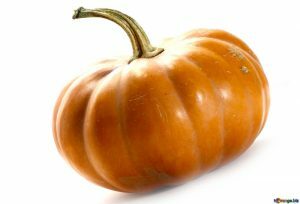 Preheat the oven to 200 degrees, place the pumpkin in a baking tray and bake it for about 30 minutes. After half an hour remove the pumpkin from the oven and let it cool; then put the pulp in a bowl with the help of a spoon. At this point, add salt and pepper, the pistachios and a little’ Balsamic Vinegar. Take a pot and add the vegetable stock; bring it to a boil and add the seasoned pumpkin pulp. At this point, add the gellan gum and mix everything. Then bring the mixture to a boil again and let it boil for about 2 minutes. At this point, pour the mixture in 4 small cups and let it cool. Meanwhile, take the sliced bread and fry it in a pan, or toast it with the toaster; in the meantime the soup in the cups will have reached a gelatified consistency: place it over the slices of sliced bread. Finally sprinkle with a little bit of extra virgin olive oil and the flakes of pecorino. The molecular pumkin soup is ready to be enjoyed! Check L-ORIGINALE’s Blog for many other appetizer recipes! Best Balsamic Vinegar: the importance of time.